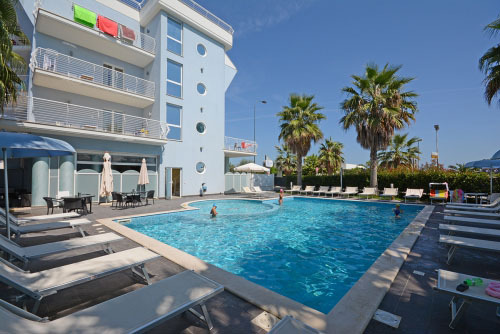 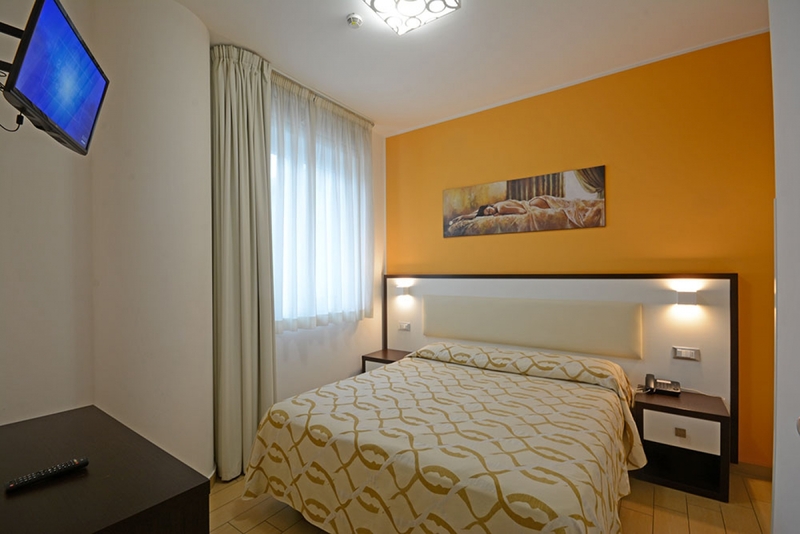 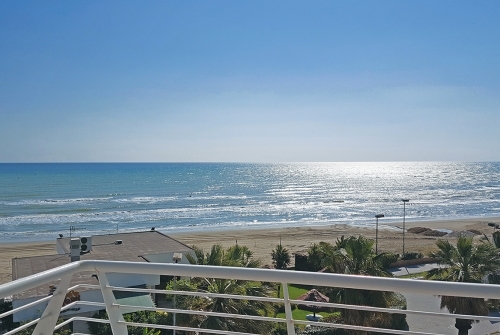 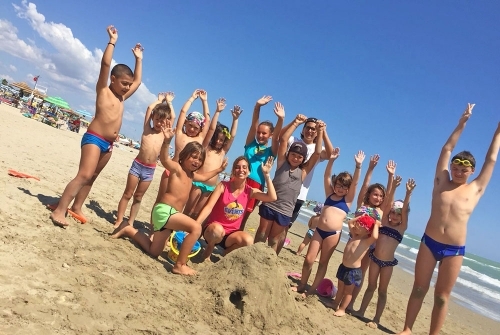 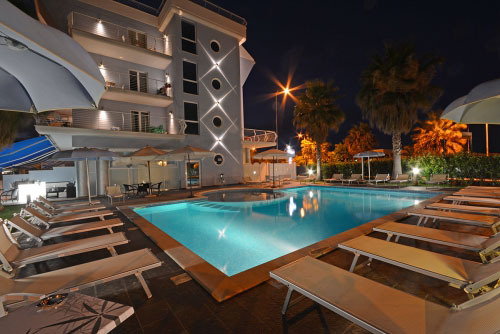 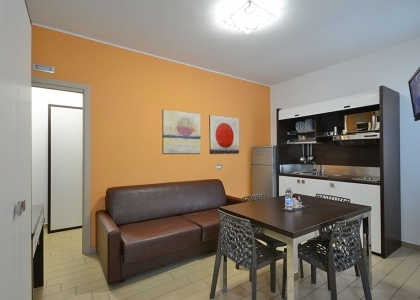 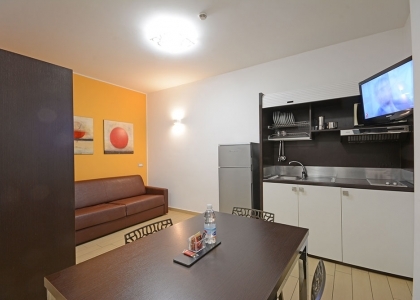 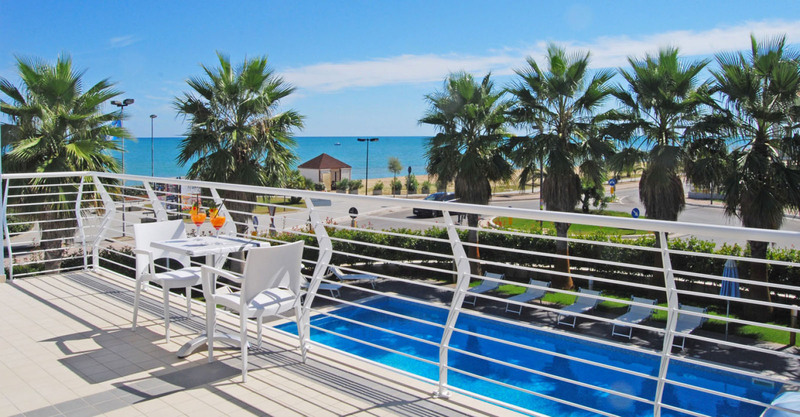 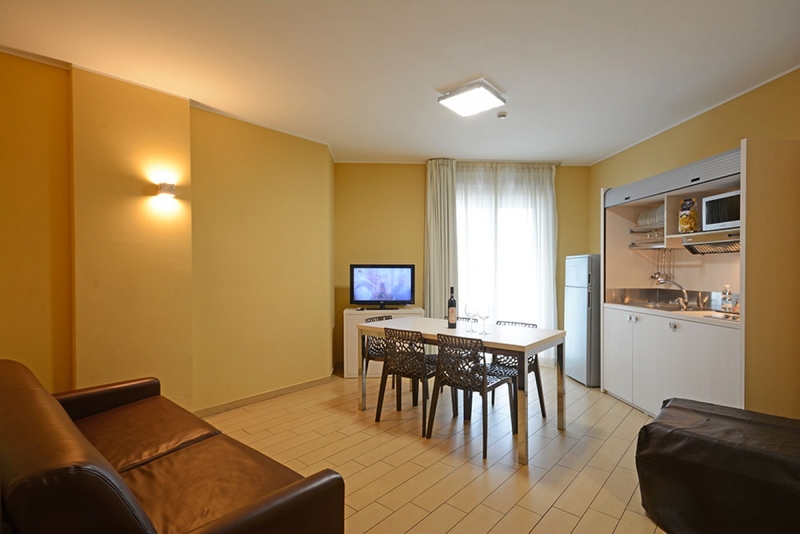 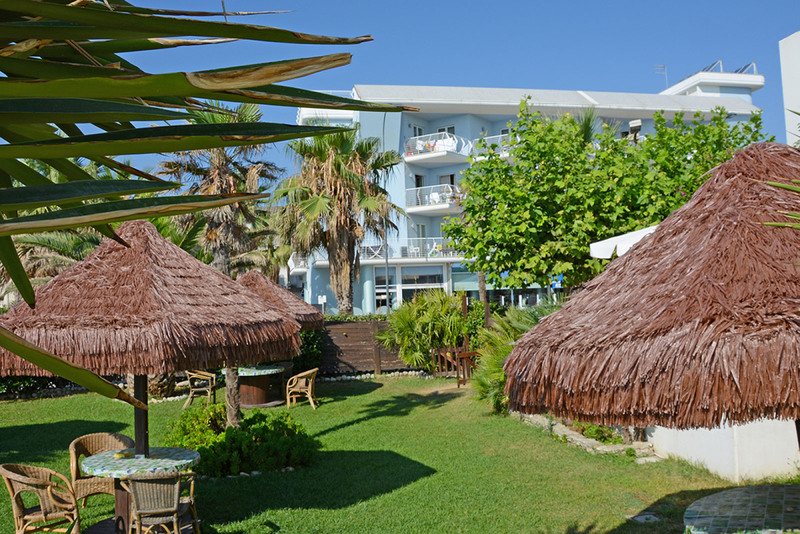 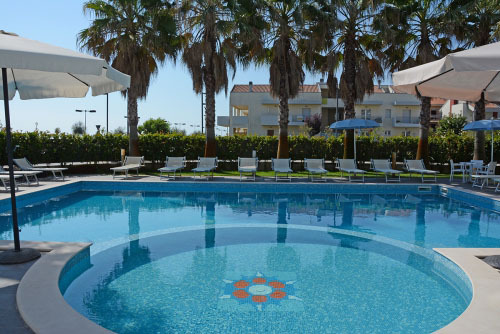 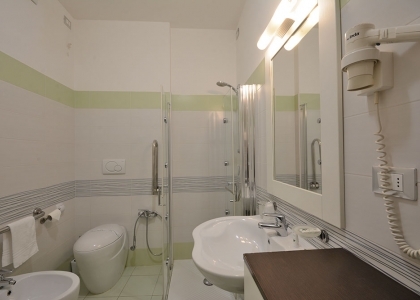 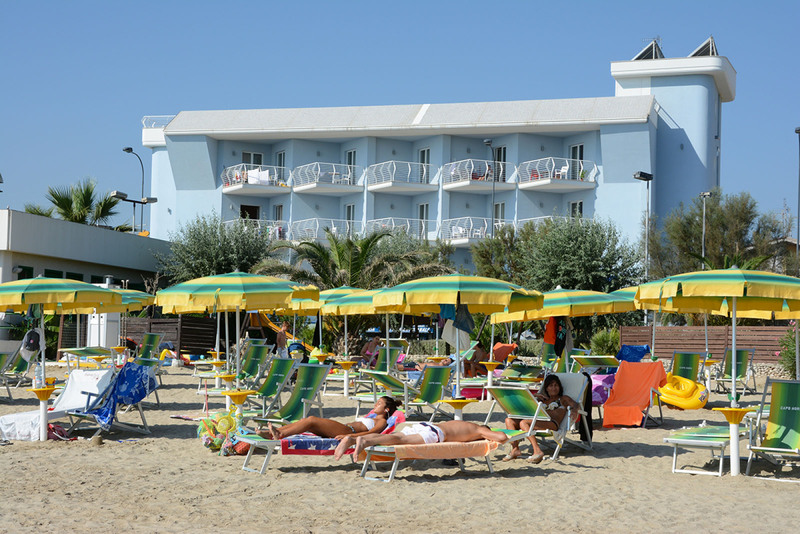 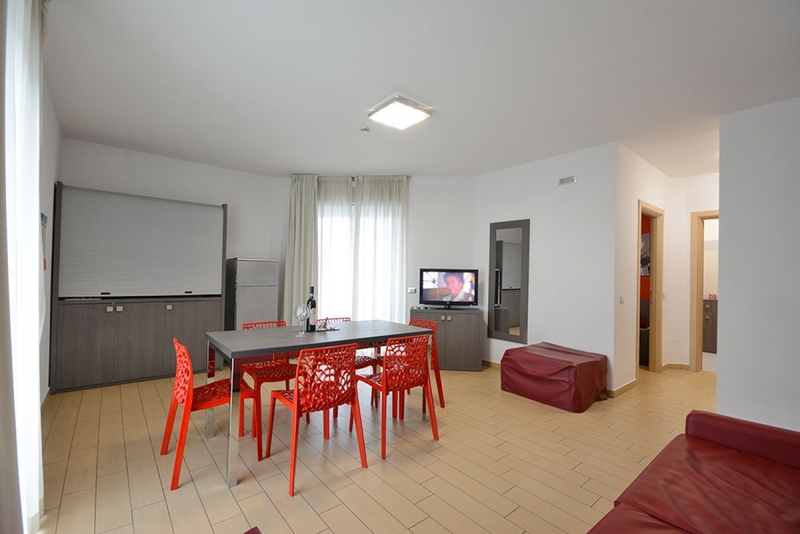 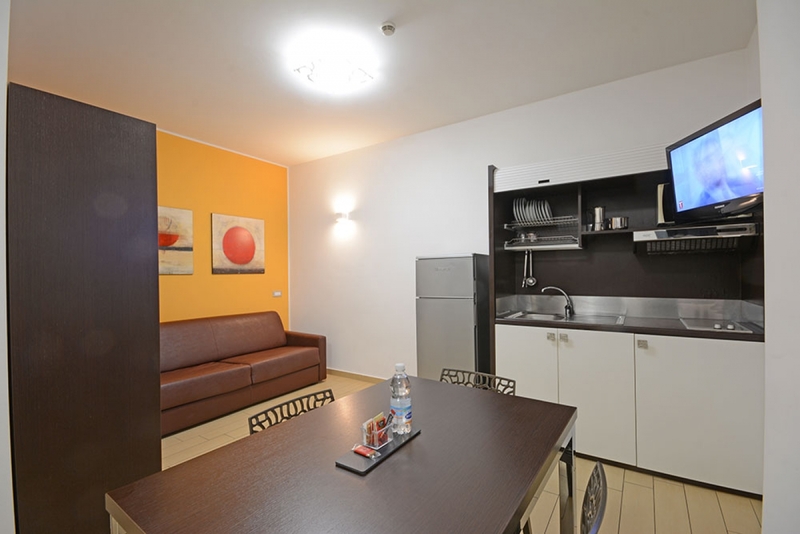 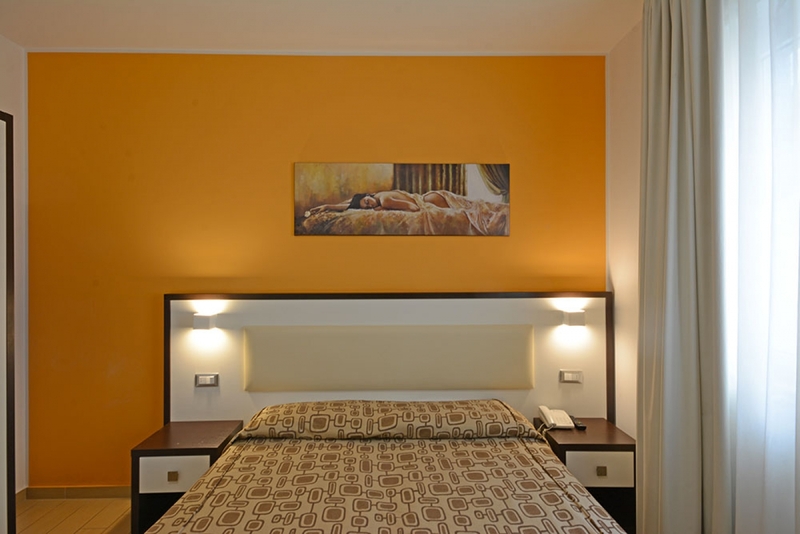 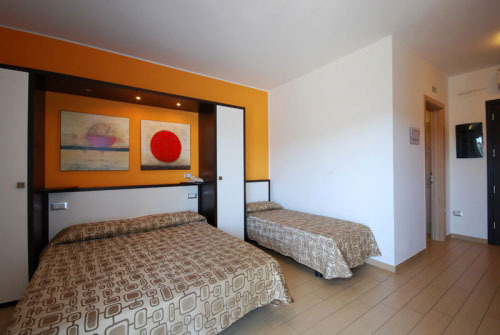 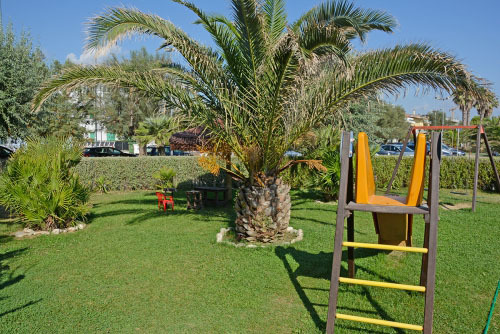 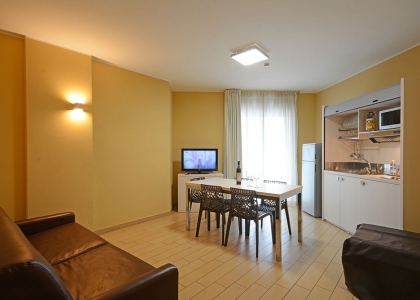 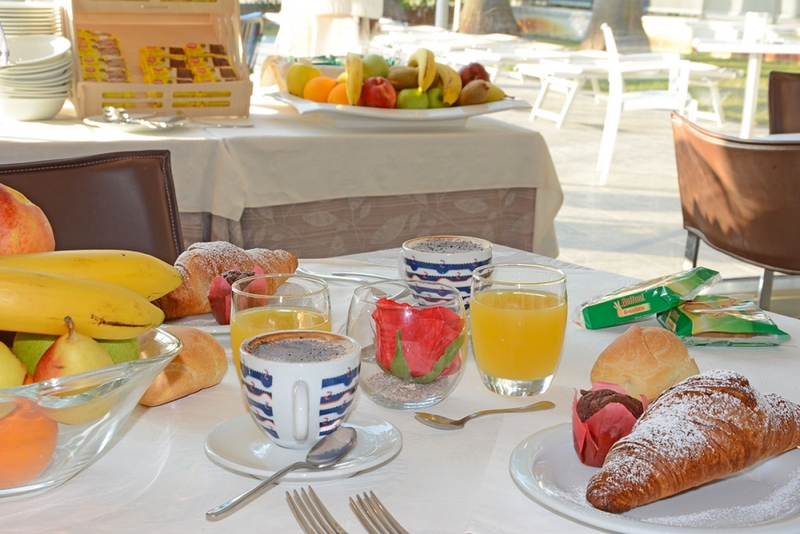 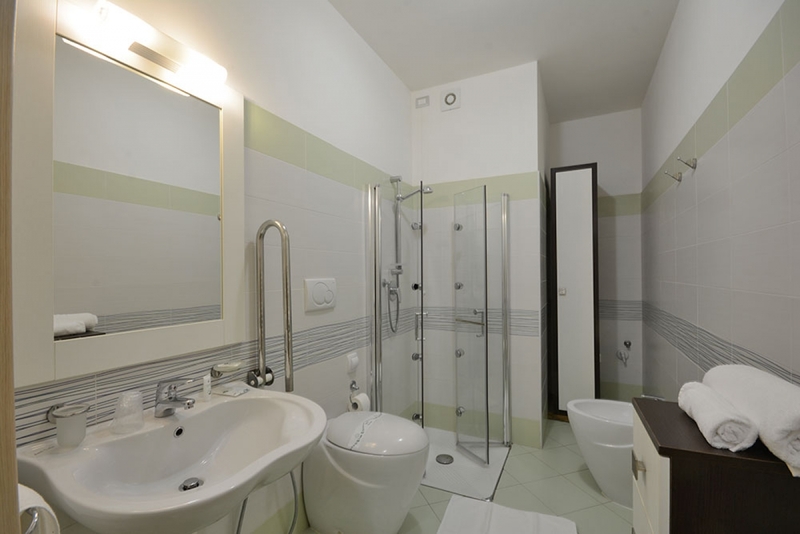 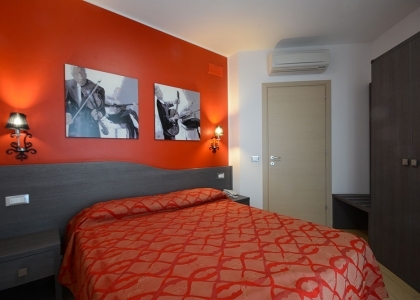 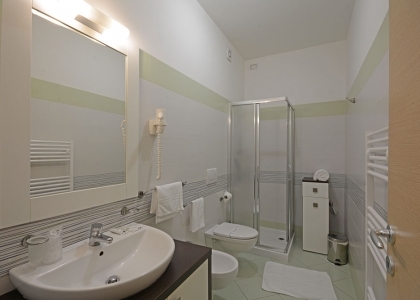 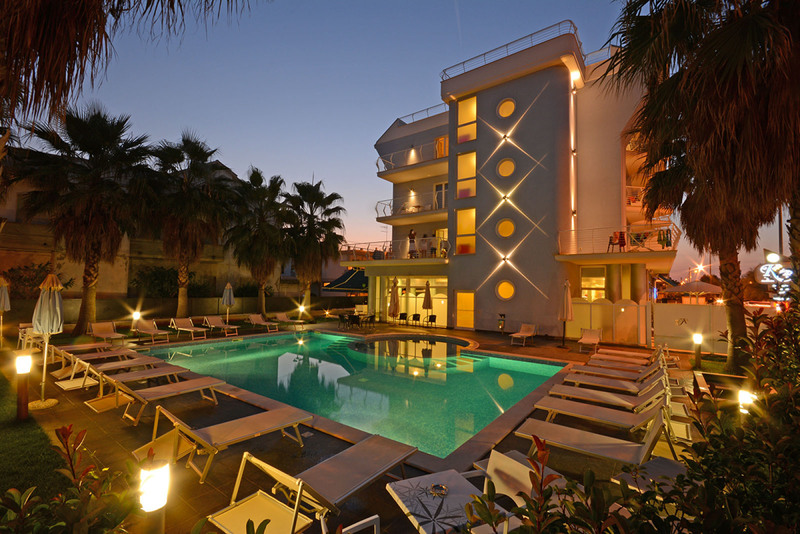 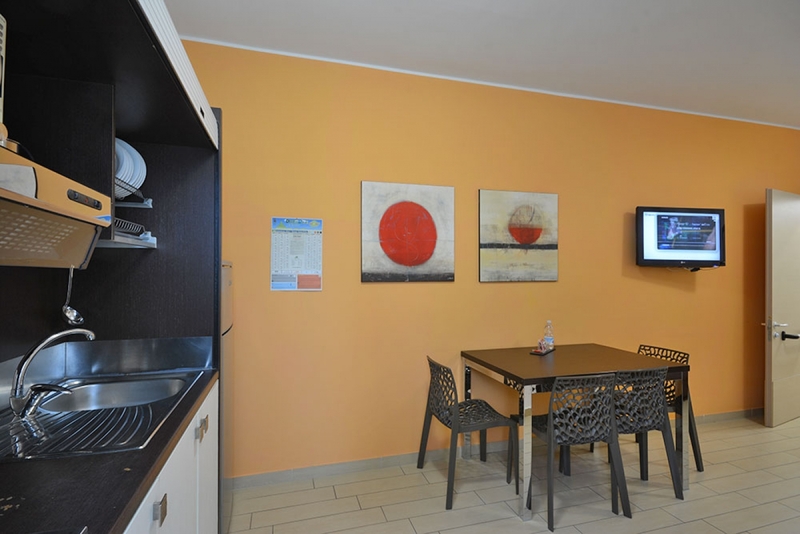 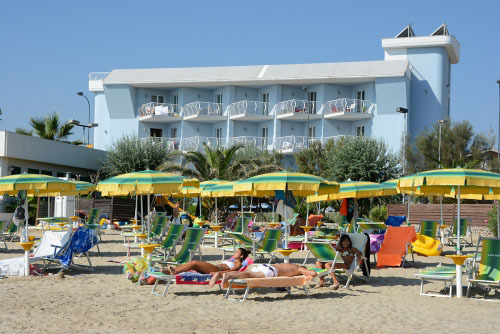 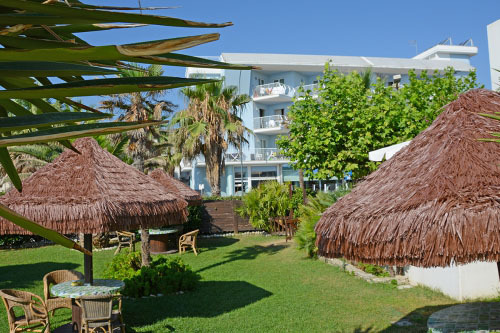 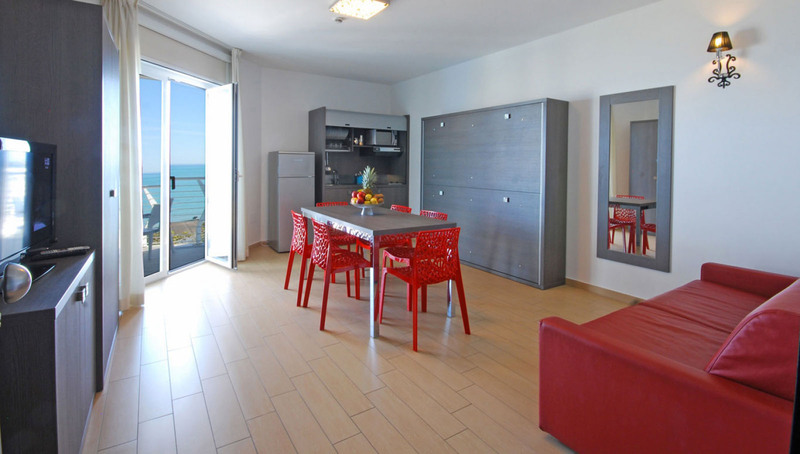 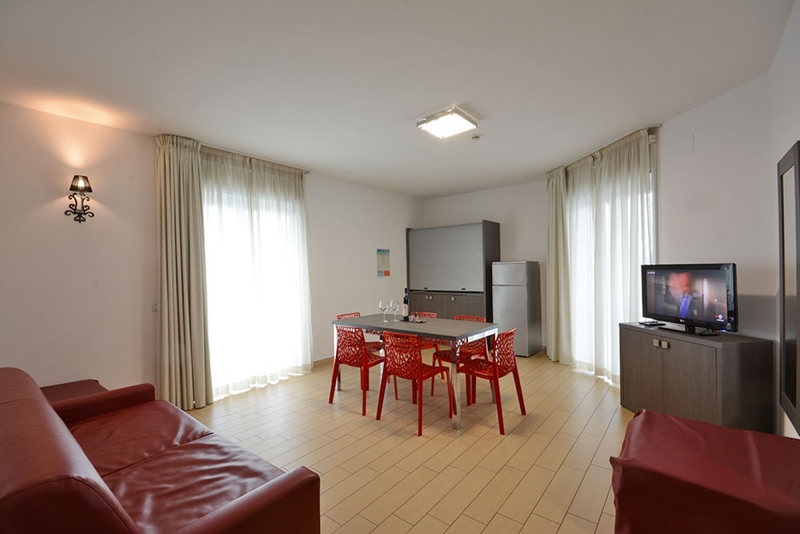 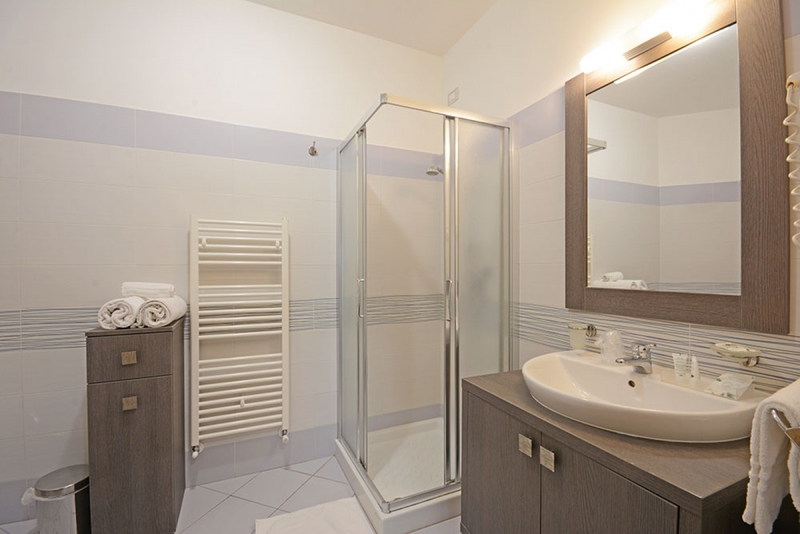 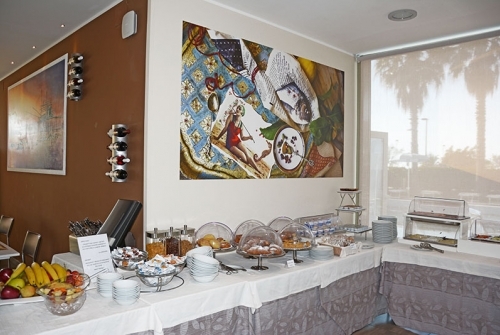 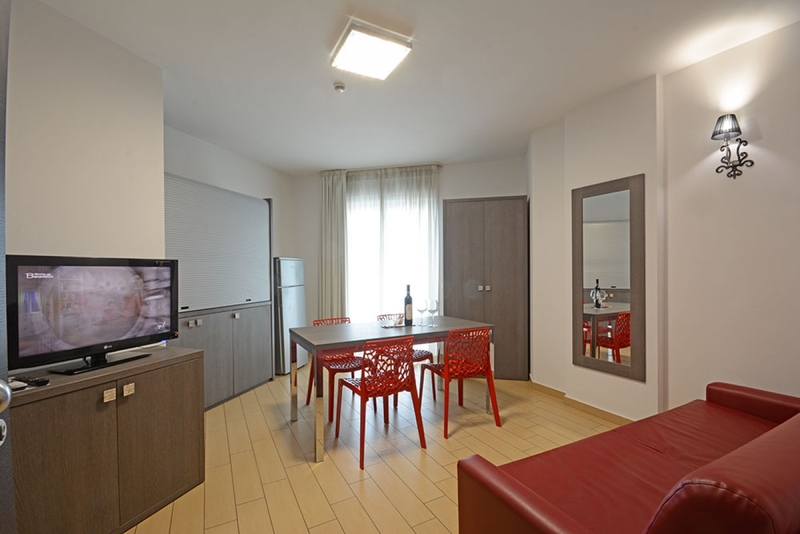 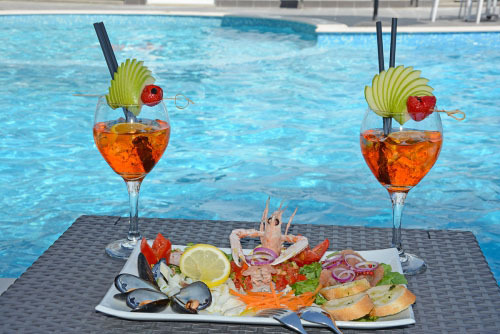 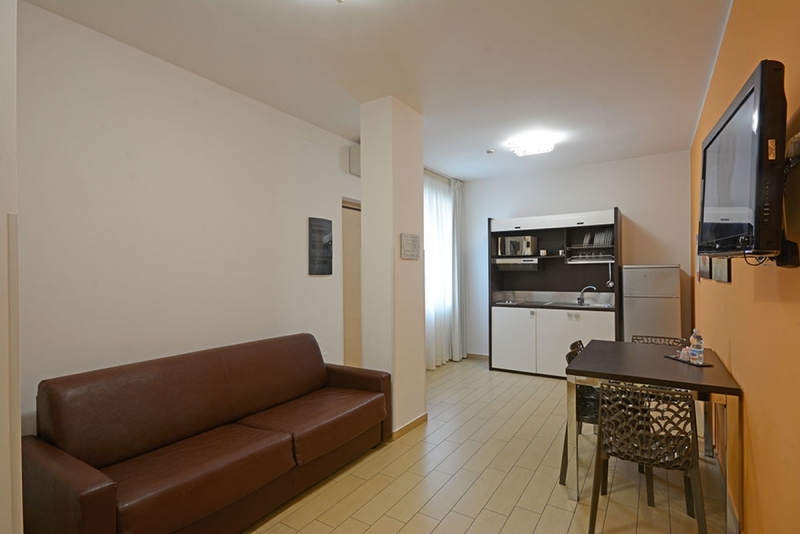 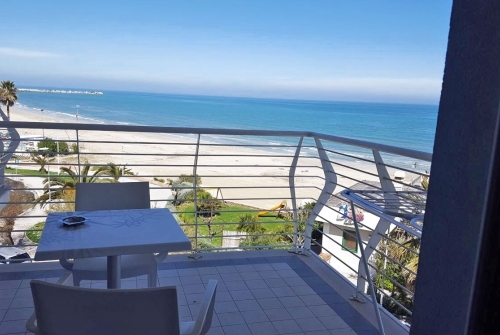 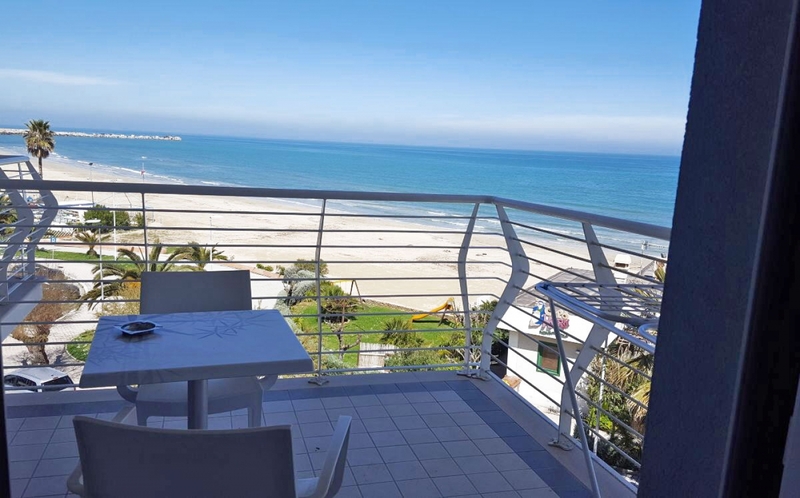 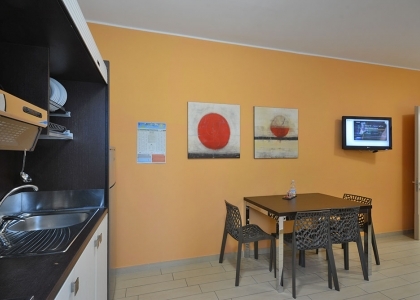 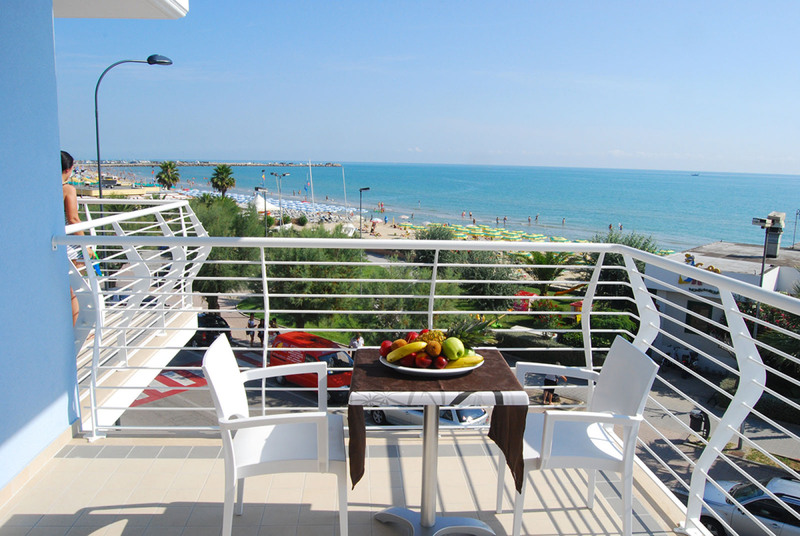 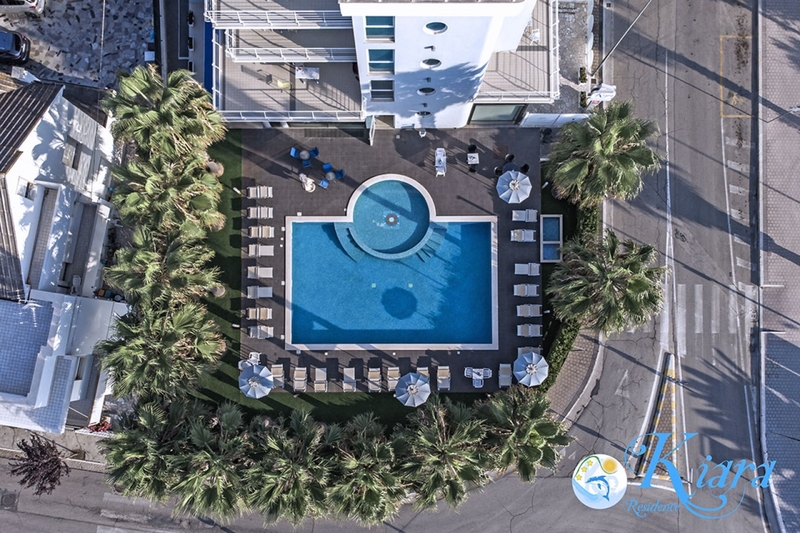 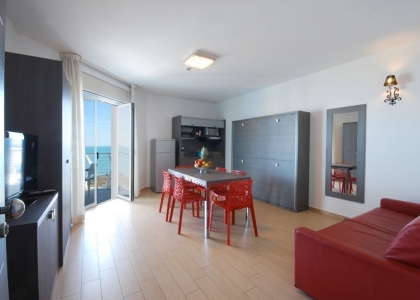 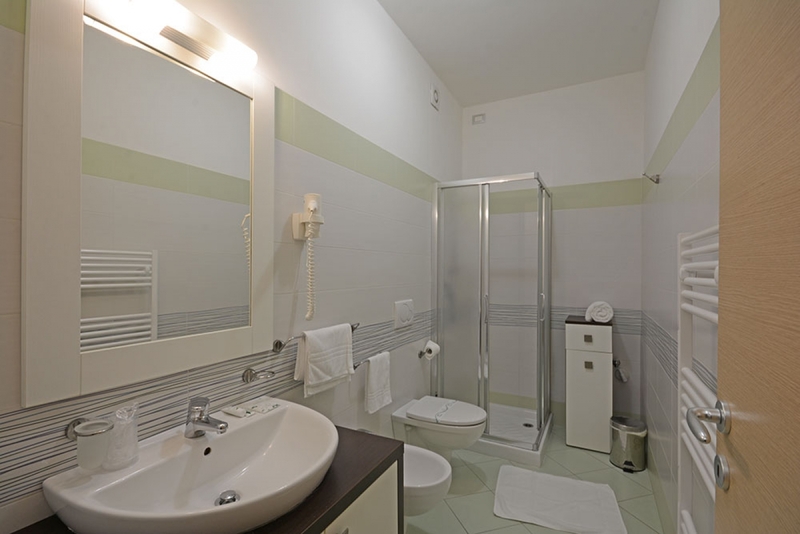 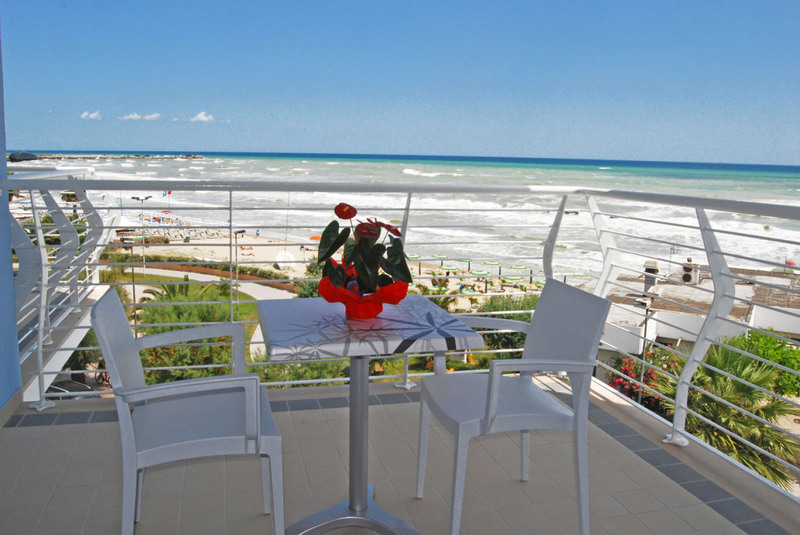 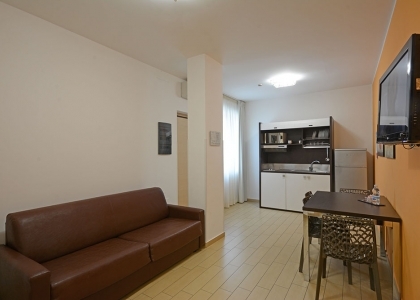 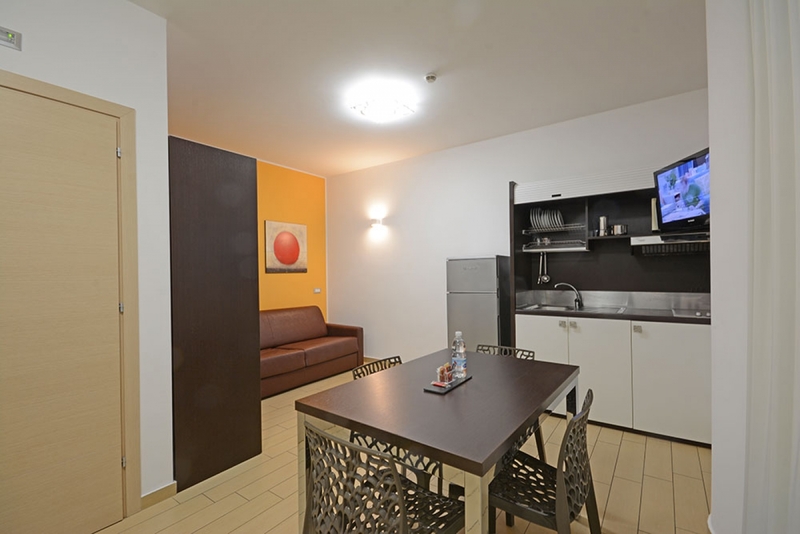 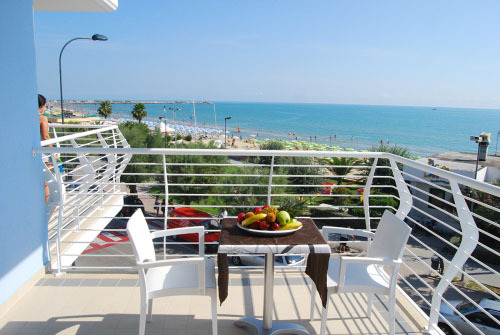 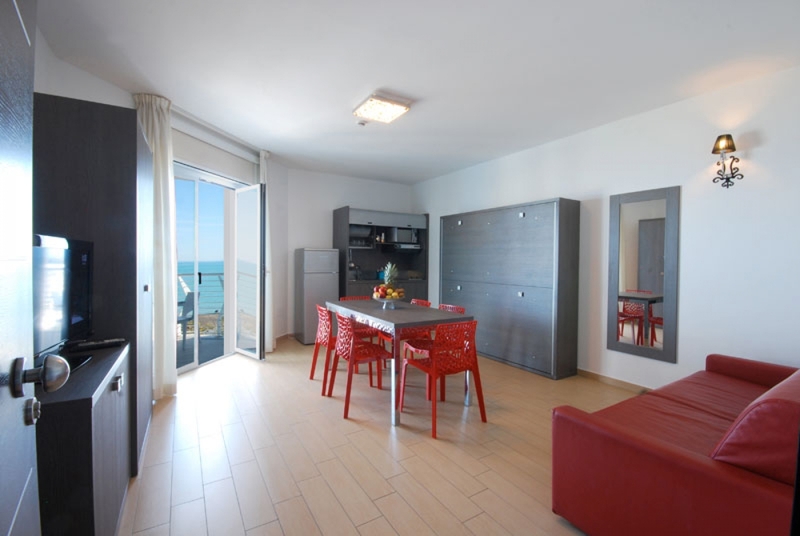 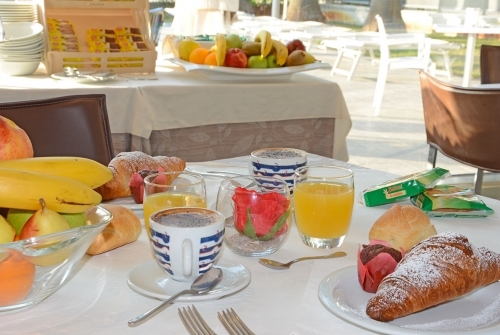 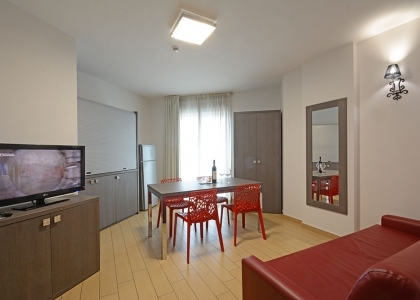 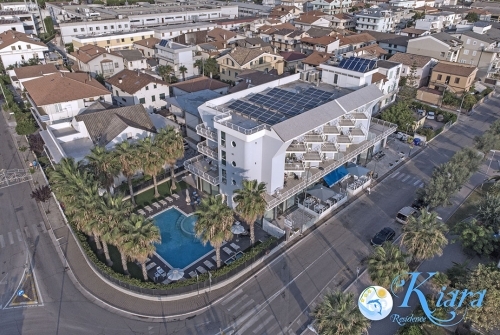 Kiara Residence is located on the very seaside of the Adriatic Sea, at one of the most picturesque beaches of Abruzzo, the so-called Golden Beach of Giulianova. 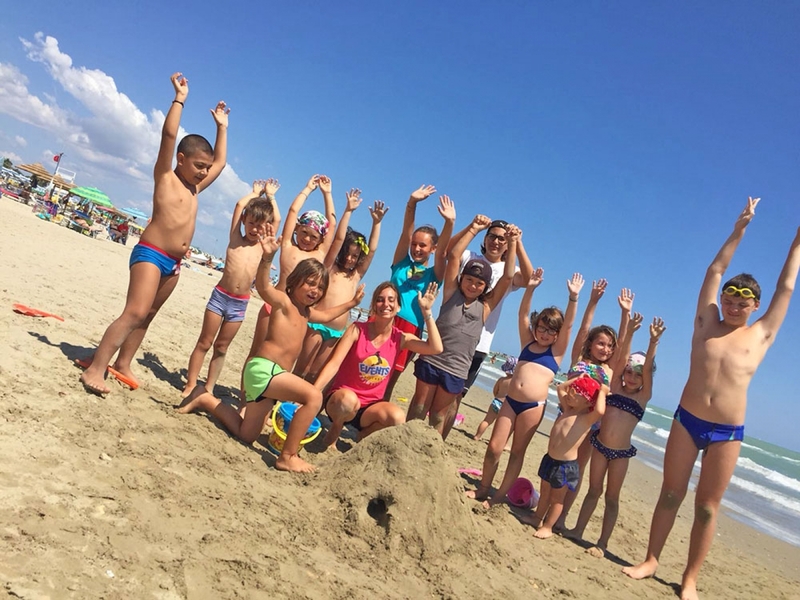 Thanks to excellent beach quality characteristics, this beach of fine silky sand and clear sea water has been awarded the European Blue Flag mark. 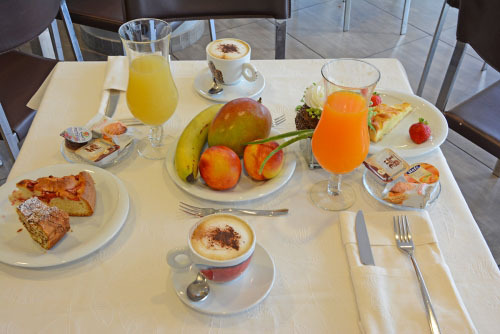 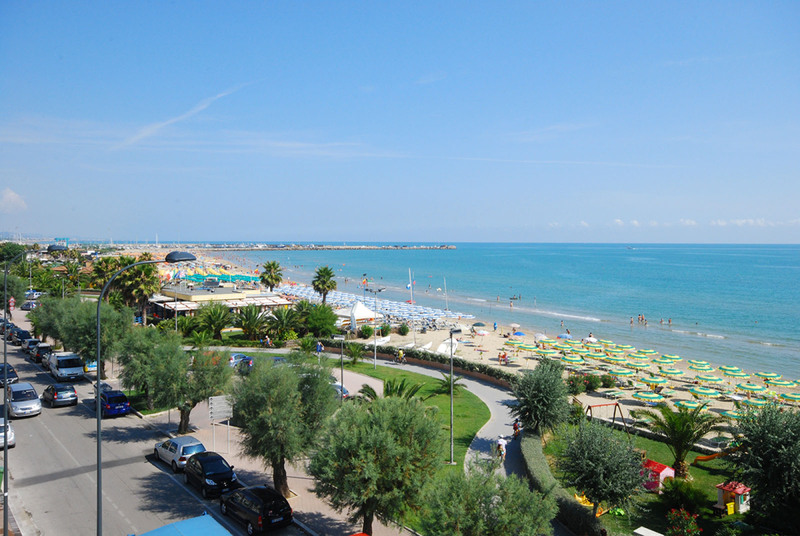 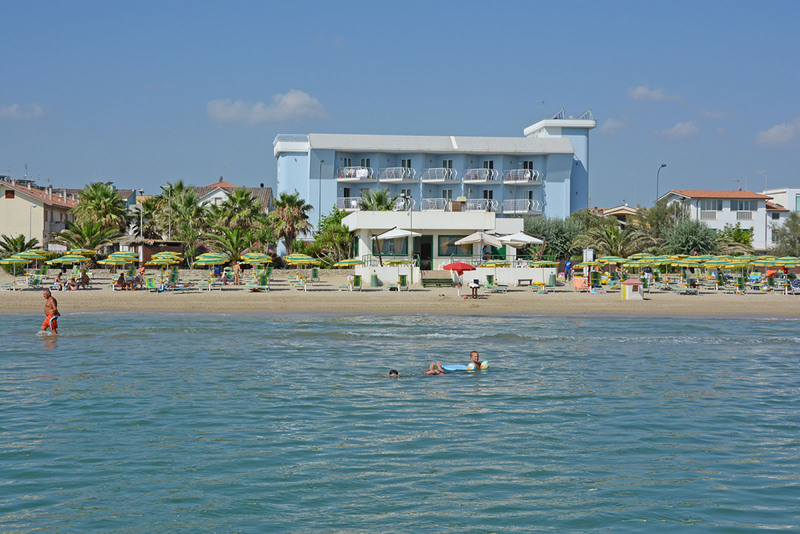 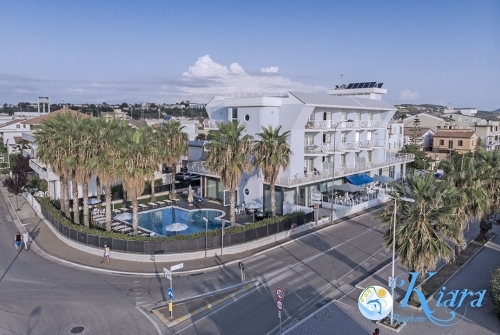 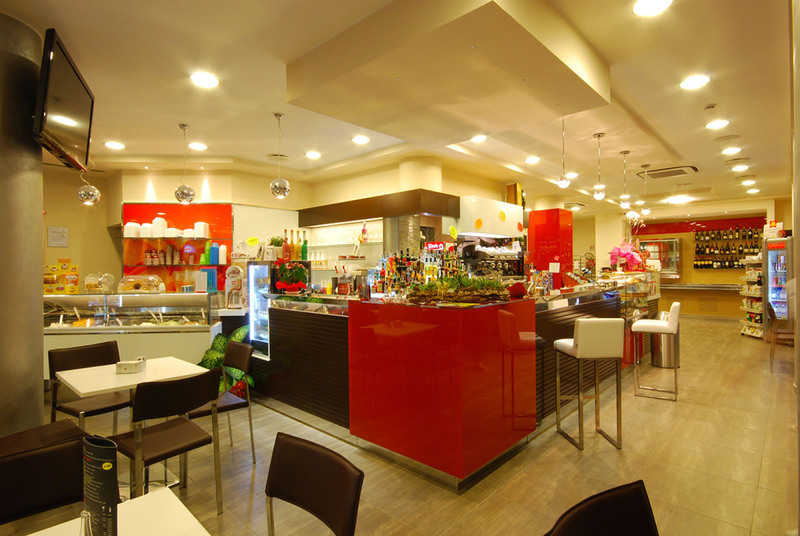 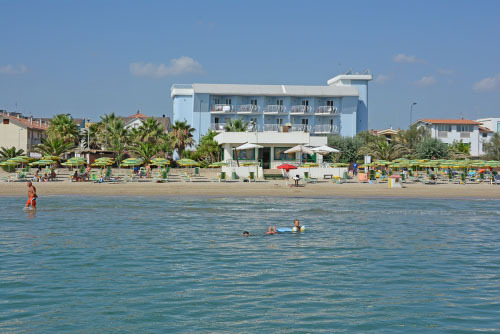 Giulianova, a gem of Abruzzo, is one of the most important marine resorts on the coast of the Teramo province, which is called The Blue Coast and has forty miles of beautiful wide sandy beaches. 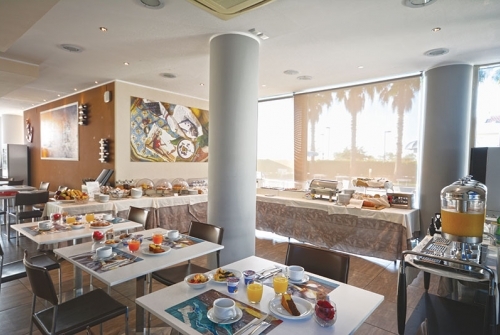 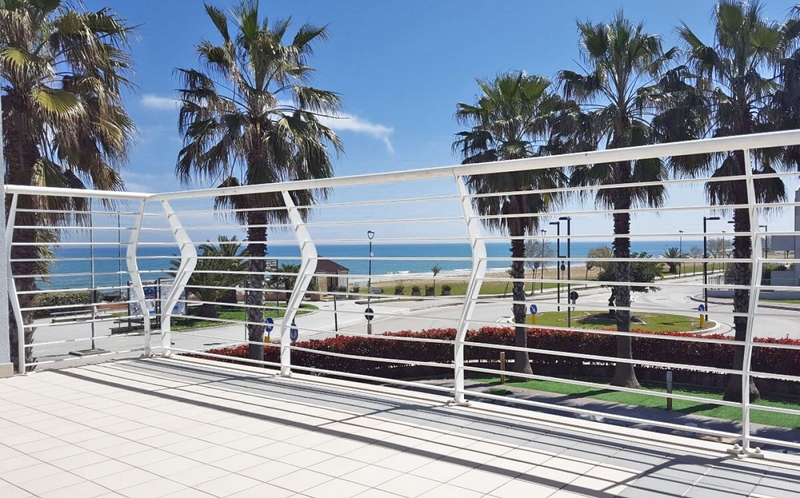 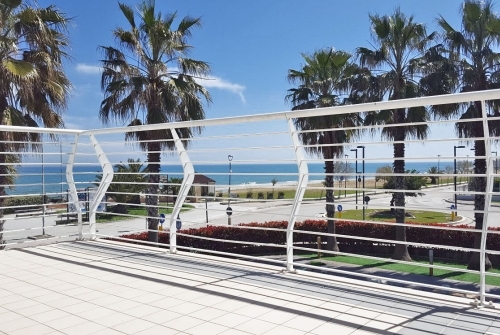 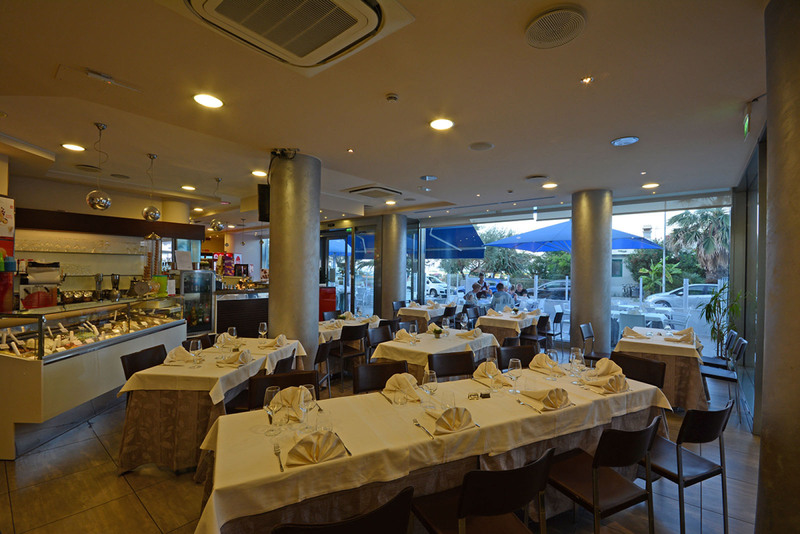 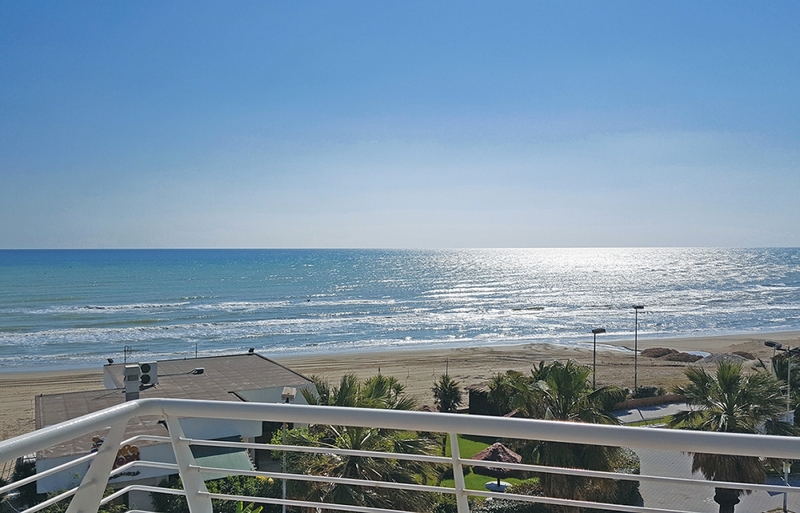 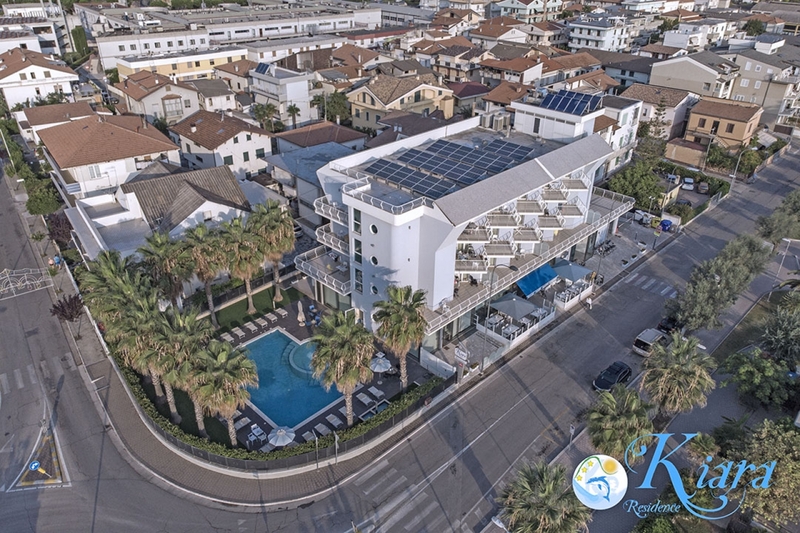 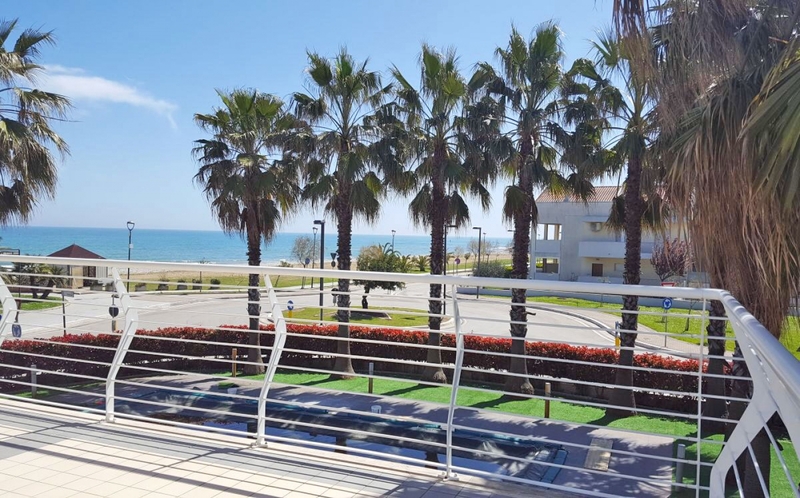 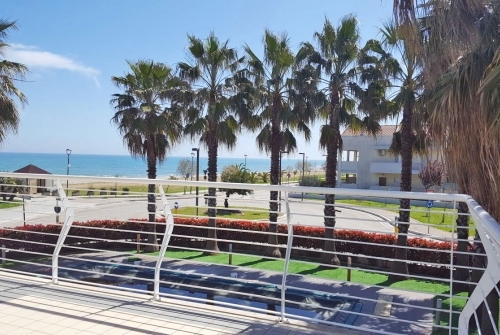 Contemporary building of the Kiara Residence overlooking the sea is located in the very south of the seaside town Giulianova, just a few steps away from the town centre and a quay with tourist port. 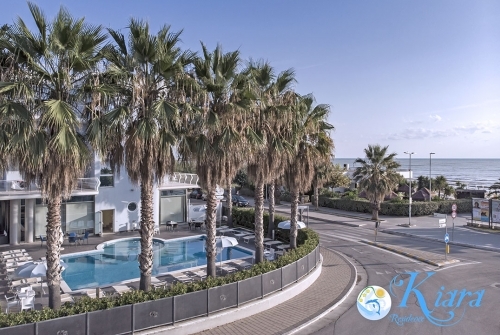 Kiara Residence is open to visitors all year round. 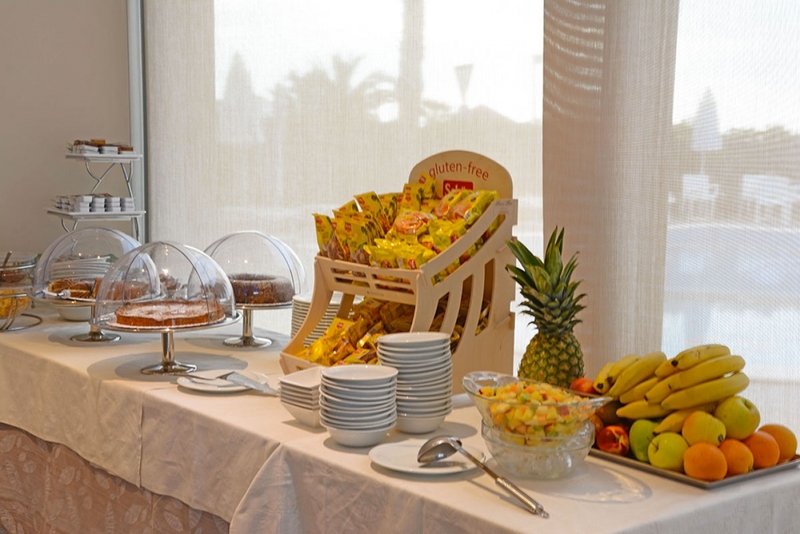 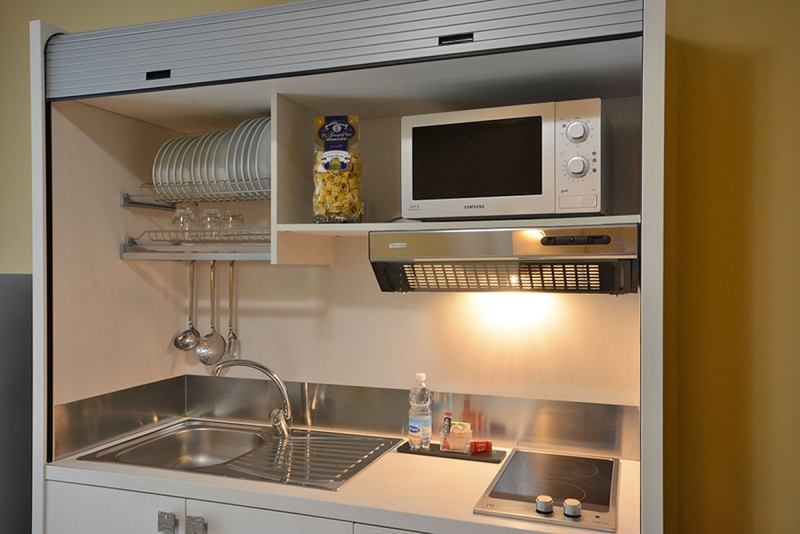 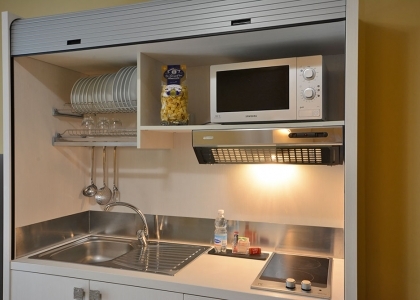 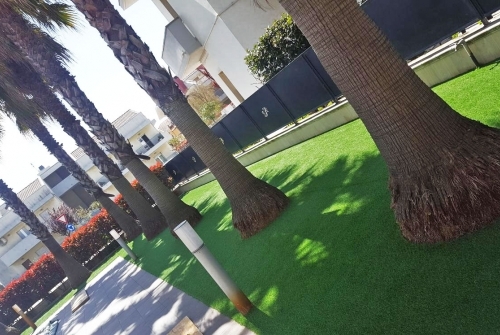 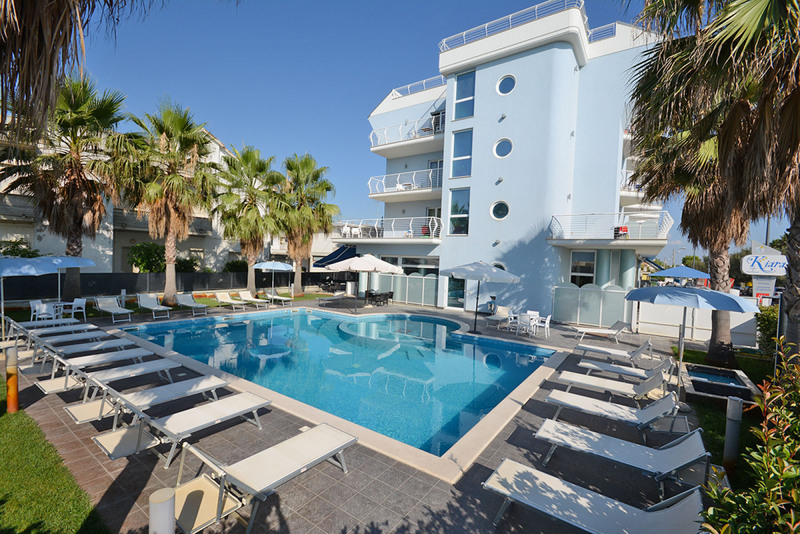 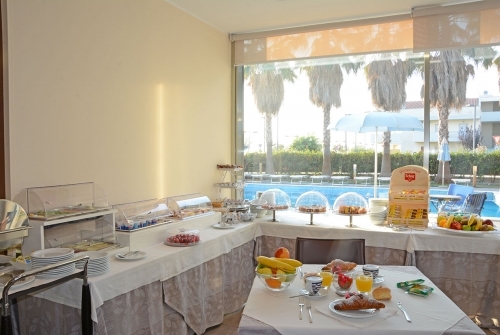 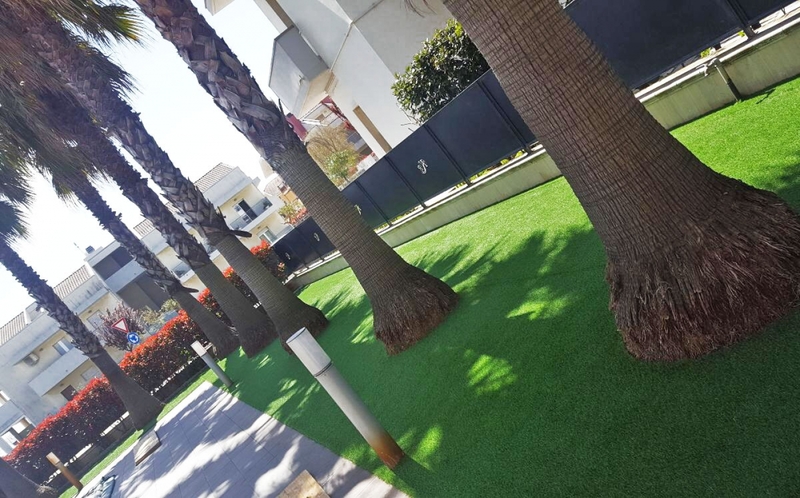 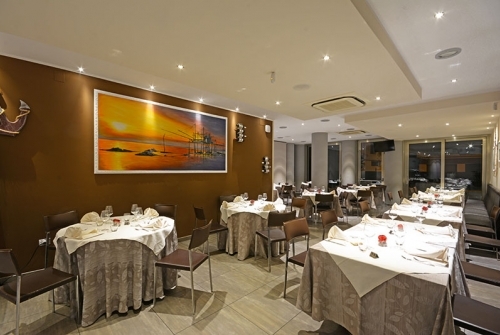 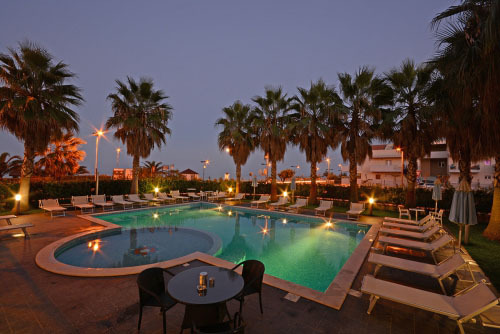 There are 24 apartments in the modern building of the residence, all equipped with contemporary facilities (air conditioning, phone, hairdryer, ADSL internet access, including Wi-Fi, LCD TV with satellite unit, safe box) and controlled entrance to the building with the help of entrance cards for complete safety of our guests. 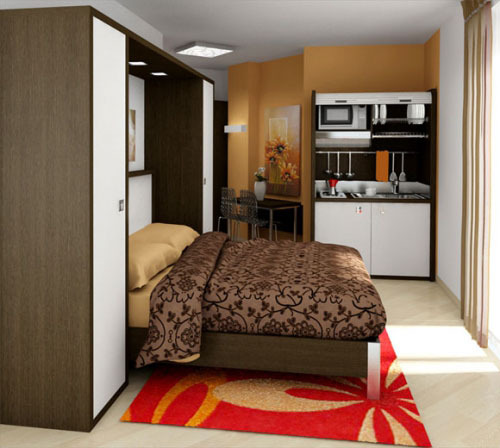 (studio): it consists of a living room with a double bed, a closet, luggage corner, kitchenette, bathroom with shower, and a balcony. 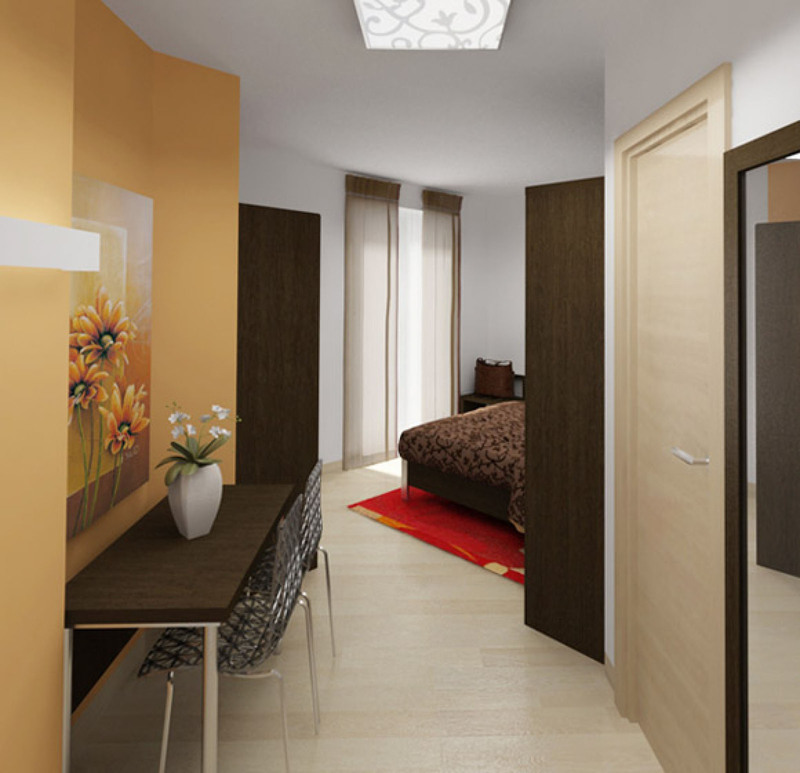 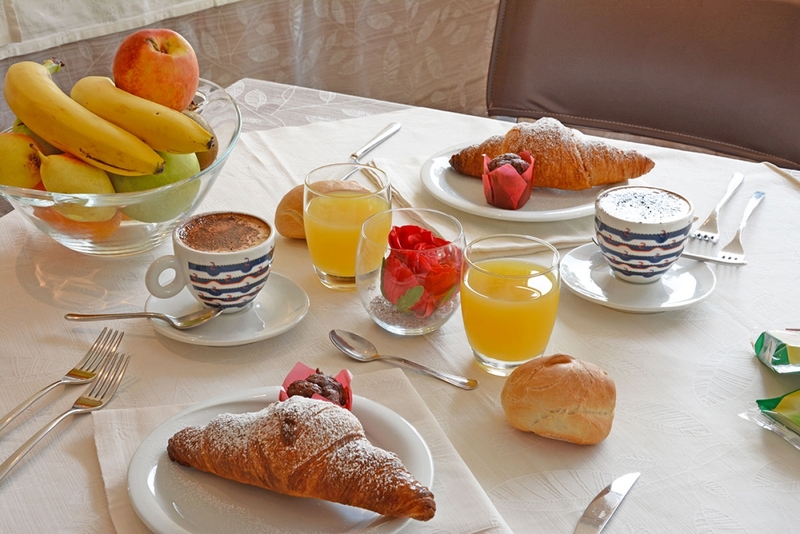 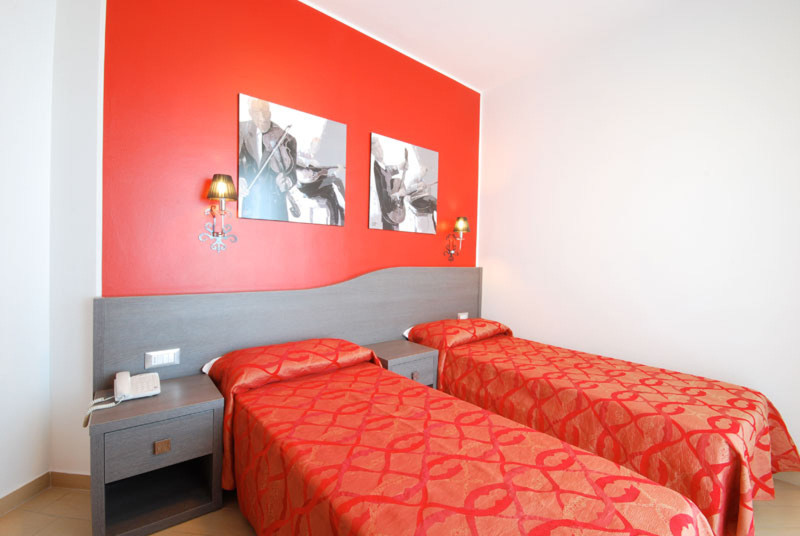 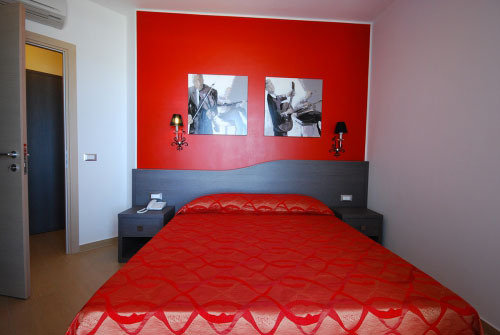 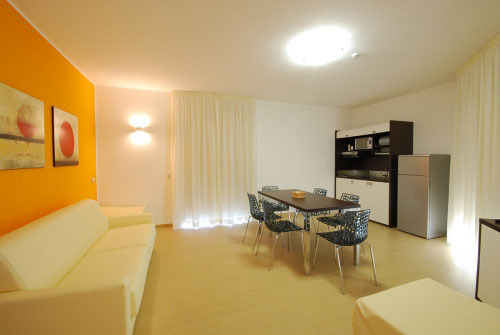 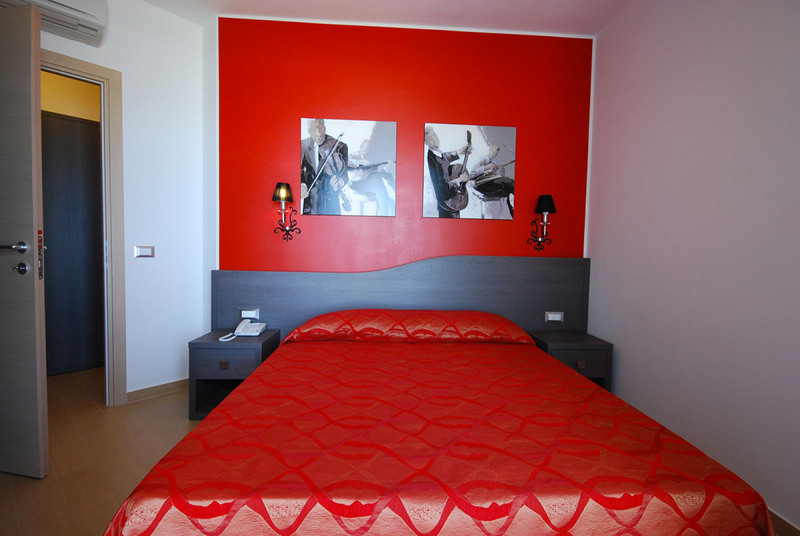 10% discount on monthly stay (4 weeks) in the apartments in June and September, 8% – in July. 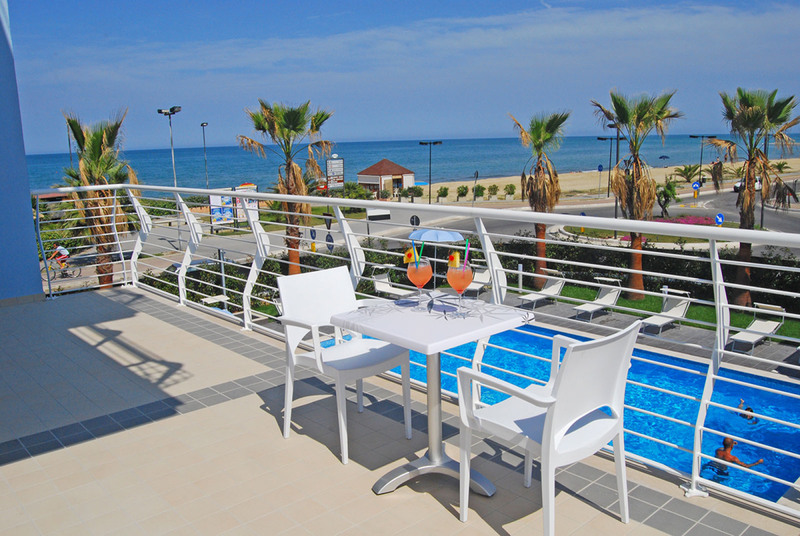 10% discount shall apply when booking an apartment for summer season in advance, before the 30th of April. 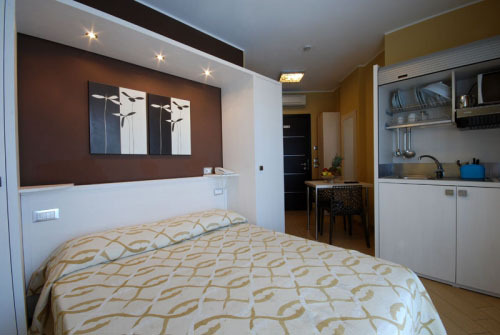 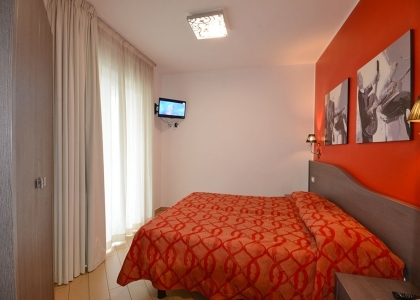 monolocale (studio): it is intended for 3 persons and consists of a living room with one double and one single bed, a closet, luggage corner, kitchenette, bathroom with shower, and a balcony. 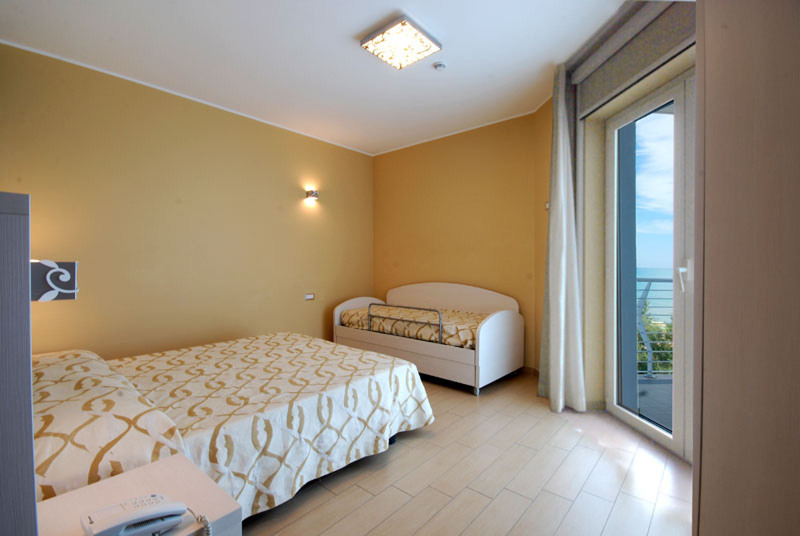 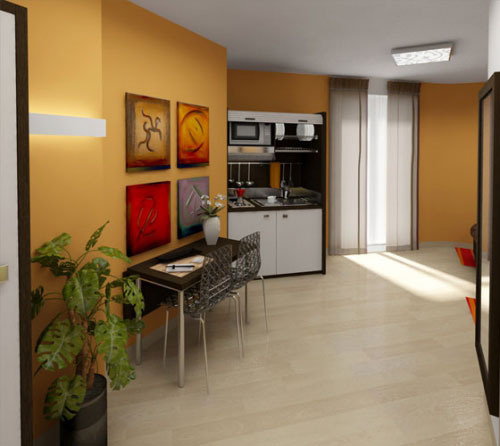 (1-bedroom apartment): it is intended for 4 persons and consists of a bedroom with a double bed or, upon request, twin beds and a living room with a kitchenette, sofa-bed, luggage corner, two closets, bathroom with shower, and a balcony. 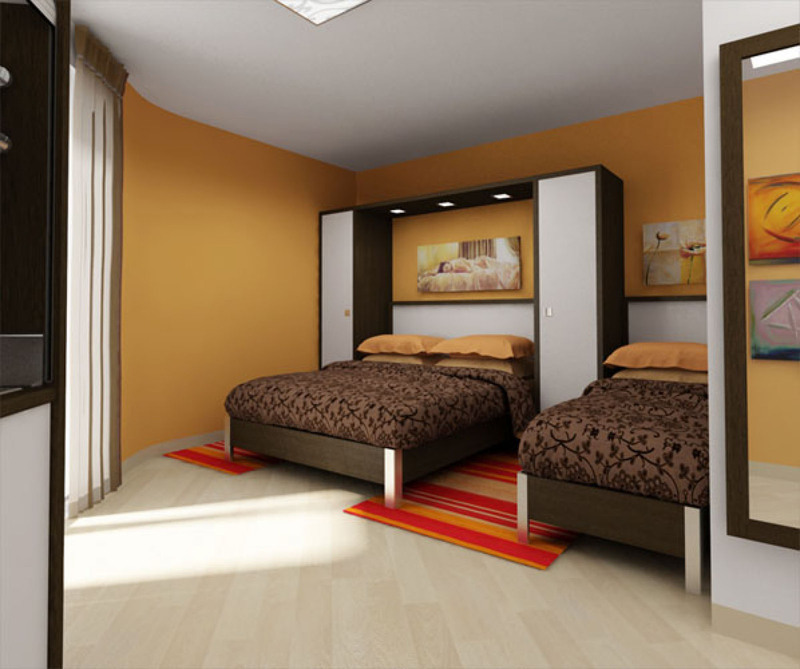 Upon request, we can offer an extra camp bed or a bed for baby, or an extra sleeping place, depending on the type of the apartment. 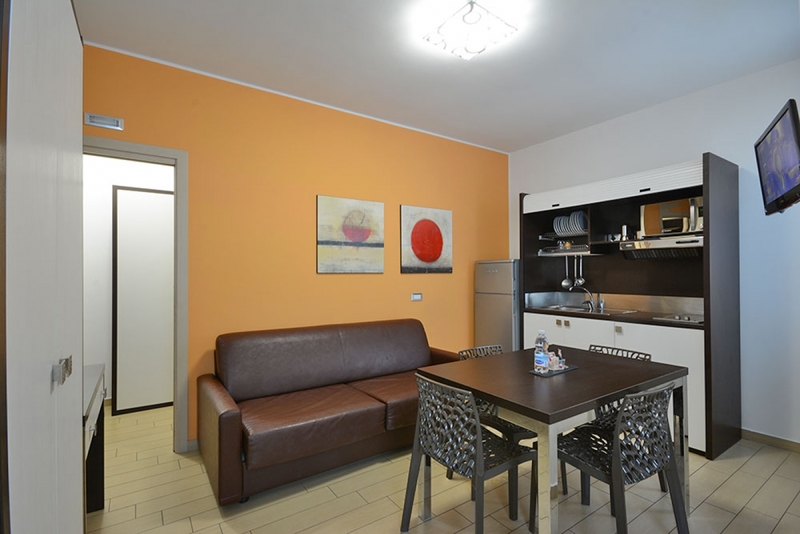 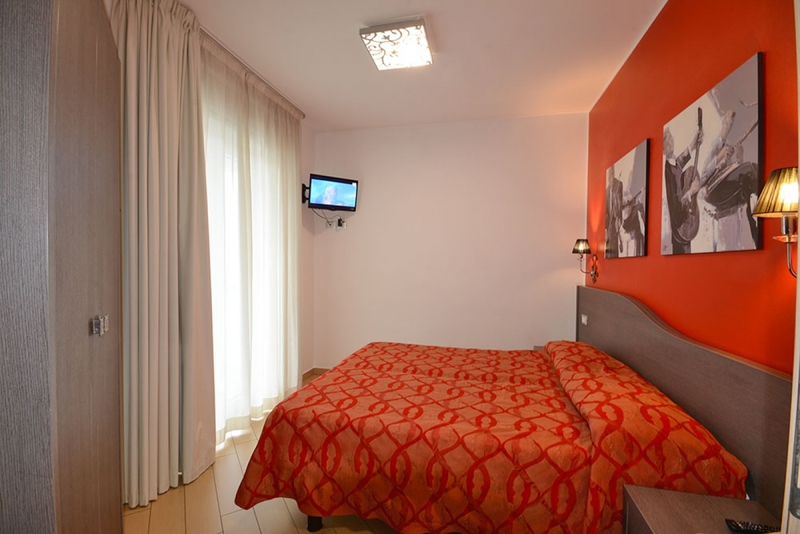 (1-bedroom apartment): it is intended for 6 persons and consists of a bedroom with a double bed or, upon request, twin beds and a bunk bed, and a living room with a kitchenette, sofa-bed, luggage corner, two closets, bathroom with shower, and a balcony. Upon request, we can offer an extra camp bed or a bed for baby, as well as one or two extra sleeping places, depending on the apartment.